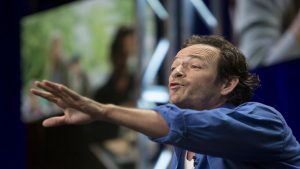 Former “Beverly Hills 90210” star, Luke Perry, is in the hospital under observation, his publicist said on Thursday, following a report he suffered a stroke at his Los Angeles home. “Perry is currently under observation at the hospital,” his representative said in a statement, without giving any details. Perry currently plays Fred Andrews on the teen television series “Riverdale” but is better known for his role as the handsome loner Dylan McKay on “Beverly Hills 90210,” which was set around a group of students living in the upscale southern California city. “Beverly Hills 90210” ran for ten years starting in 1990 and was one of the most popular shows on US television. The post Actor Luke Perry hospitalized in LA after reported stroke appeared first on SABC News – Breaking news, special reports, world, business, sport coverage of all South African current events. Africa's news leader..